Yesterday I shared with you my 'Choosing a Uni' saga in THIS post. The first night of freshers.. In all honesty, despite the nervous fuss I kicked up, something inside of me already knew that I had bagged my place, I knew that somehow my AS and A2's grades would get me in. In the few weeks leading up to me leaving for university I was a complete wreck. I cried at the drop of a hat, I was irritable and most of all I was scared. Unlike some of my friends, I was trying my best to slow time down, I loved my life the way it was going. I had my friends around the corner, a job that I liked going to, my family and my boyfriend all around me and I was having a great time. When Saturday 8th September 2012 rolled around, the car was packed with things that did not feel like mine and I was eating a cooked breakfast under the morning sunshine, outside in the garden with my mum and dad, I had never felt so scared. I acted all tough but I wasn't, I didn't want to go. The first few weeks I found so hard. I like to have a good time, but I struggle to drink a hefty amount and I usually end up getting myself into a mess if I do. I felt that I had to. 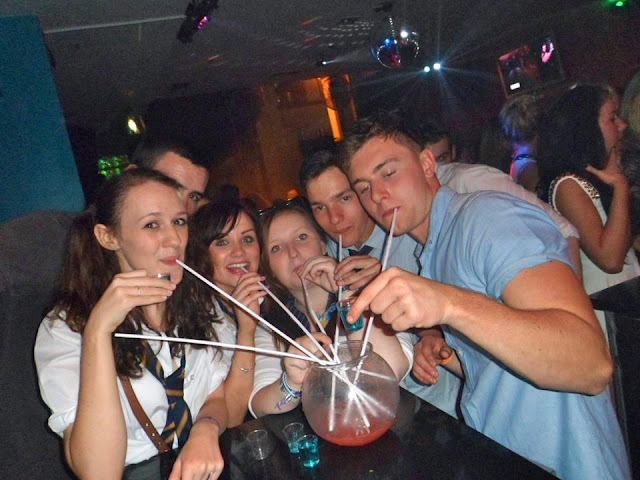 It was freshers after all! would help me find my way through Liverpool back to the flat safely. I had no idea where I lived and I had no idea where on earth I was. Thankfully, they did and after time they understood me and the way I am. At that time, I also thought that I was blessed with such decent, normal and nice flat mates, one of which became my best friend at uni as the year went on, her name is Millie and she is someone who will have a chilled night, watching soaps with a can of Cidre with me. She's chilled and a good listener…Exactly what I needed. Luckily I had already been chatting with the majority of my flatmates on a 'find your flatmates' forum. "Errr which fridge shelf do you want?" Because of the majority of nice people that lived there I wouldn't have minded living in halls of residence at all but somebody who also lived in the flat was really unclean and disgusting, leaving the place in a complete state, dirty plates everywhere, mouldy food left around for weeks and toilet matter all over the place. We ended up giving up one of the two shared bathrooms for this person to use on their own and 5 of use crowded into another teeny, tiny shower room because it was so rank. This got me really down and I began to resent being there more and more. I also struggled to make friends at the start. This sounds ridiculous because as an only child, shouldn't I have been the first to find some companionship? I have to say, the friends I did eventually make are the loveliest bunch you could ever hope to meet and for them I am so thankful as they are simply the best. I compared myself to my other friends at different uni's who had found a new huge group of friends who were all the same. All the while I was still yearning for my old bunch of friends and I think that is what stopped me just getting stuck in there. This year, I am making it my mission to be as open minded and as positive as I can, I really need to become a YES WOMAN! I do believe that the people who join sports teams or socities at uni have a better time as they have regular meet ups, training, matches etc and you have to mix with different people. Sports teams also have really cool socials. all sorts of crazy stuff and met some really great people. Maybe I should just go and get stuck in? Between September and Decemeber I was a totally wobbly piece of jelly mess. I was lonley, sad, I didn't want to be in Liverpool and I began doing 2 things. I wrote to the head of journalism at Leeds Trinity asking about how I could transfer home, I was set in stone to do this, I couldn't deal with the homesickness any longer. But, something stopped me from clicking send. I wish that I could pinpoint what it was, but I just could not do it. I also started applying through UCAS for London College of Fashion, I thought stuff it, I want to be there not here. Again, something stopped me halfway through. I needed to try harder in Liverpool. I have briefly touched on Long Distance Relationships at university before. As most of you know if you read Good Golly Miss Hollie regularly, for half of the year I am in an LDR between Liverpool and London. I found being in an LDR really hard and as much as I try and deny it, I do think it altered my mindset about uni in general. My boyfriend has a really awesome time at uni, he loves it and he loves the friends he has made. Because I felt so rubbish in the beginning and hadn't settled well at all my head started to go crazy wondering if he had met sombody better and wondering when he was just going to forget me completely. I just wanted to talk to him but he was busy having a fantastic time, he didn't have time for me crying down the phone because I had seen him have a great time without me. The dreaded Facebook tagged photo's. I turned into that girl, and ladies it is not good. Dan and I saw one another once a month, every 3-4 weeks which for some is no time at all. We took it in turns, he would come to Liverpool, I would travel to London. I had no idea in the begining if we were going to make it through. It has been so tough for me but we are still together despite me being a loony for a while. You just have to COMMUNICATE and TRUST. THAT is crucial! Once communication breaks down you might aswell give up. The funny thing is, technology didn't help us at all, our phones stopped signalling messages to one another and we went through a really awkward patch of "are you ignorning me?" and Skype caused us to fall out because the connection was so bad. Give it a go though guys, you might come out of the other side like we did and if you really want it to work, it will. Upon returning in January of this year my university life really turned around. I had found my friends and I was getting on well with the course. I had battled with some personal demons. It is now April and I have completed my first year. For what felt like an eternity a mere 6 and a half months had passed. I feel much, much, much more optimisic about returning in September. I know what I will do right next year and that is important. I know what I want who I want to be. in a better mind set. How did you find your first year of university?